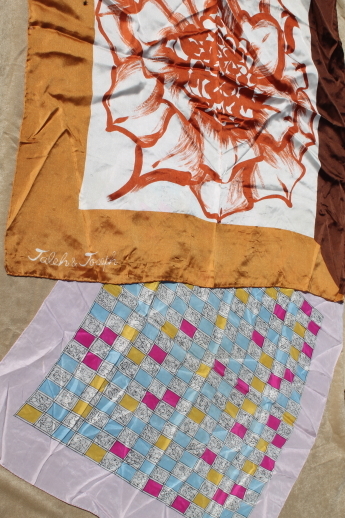 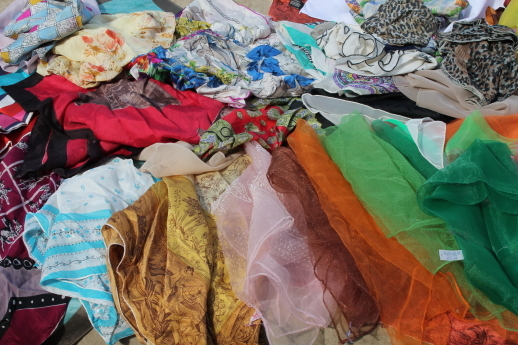 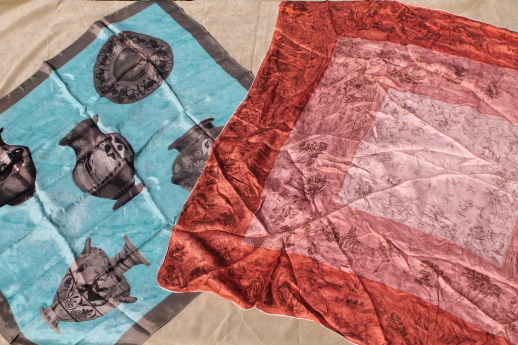 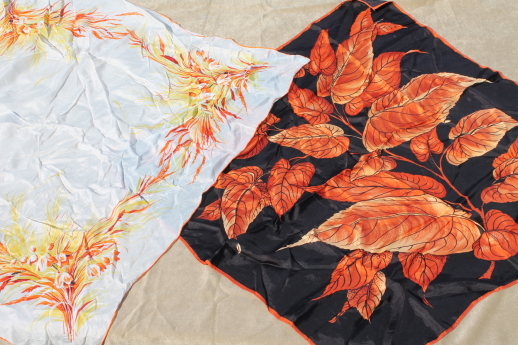 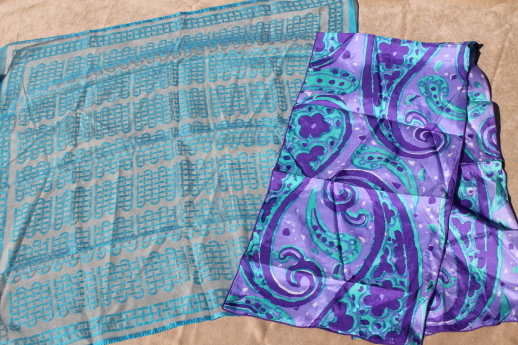 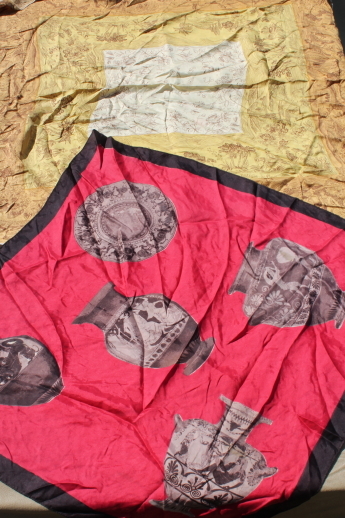 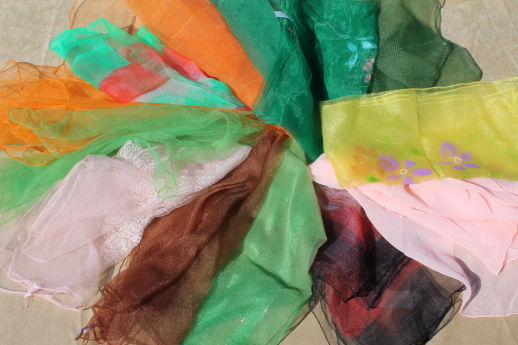 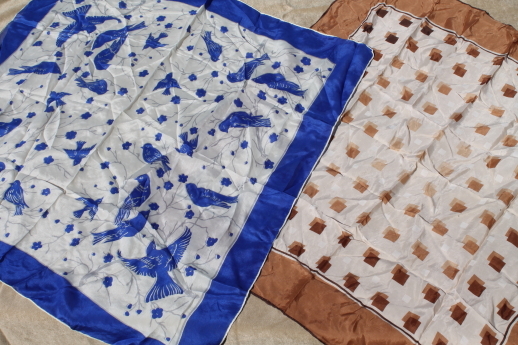 Lot of more than 50 vintage scarves, mostly silky synthetic fabrics and silk, 60s, 70s and 80s vintage. 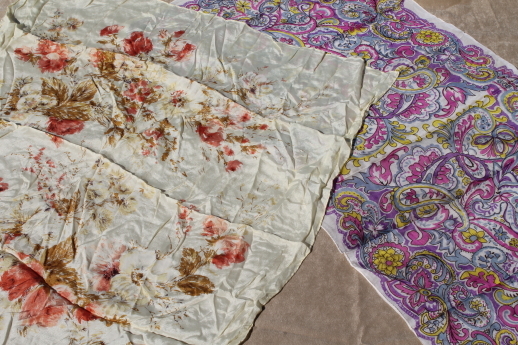 These aren&apos;t in perfect condition - all need pressing, some have spots or holes. 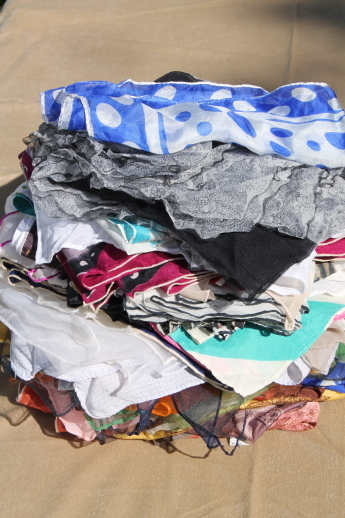 Shapes and sizes vary, so you&apos;re sure to find plenty to suit you.